It’s the time of year to think about cozying-up our homes… the Norwegians and the Danish have a word for it and we hear it used a lot, but what exactly is Hygge? Usually pronounced ‘hoo-ga’ or ‘hue-gah’. It comes from the old Norse word for hug, creating an association with caring which has led to the idea of using materials, textiles and furnishings that lend our homes a sense of well-being. Sandra & Oli, owners of Blåbär, a Nordic lifestyle, cafe and shop in Putney believe everyone can benefit from some ‘more Nordicness’ in their lives. 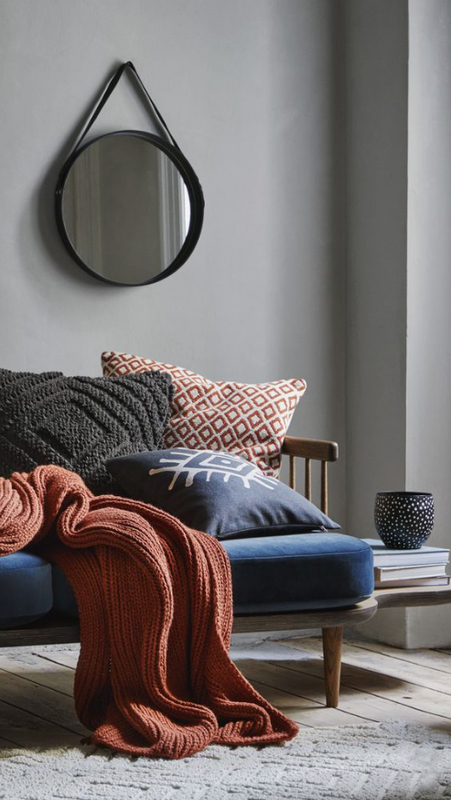 By using textiles and materials in soft toning colours with occasional touches of stronger natural hues, such as blues, rusts and greens, the look is achievable even if you just want to create a small comfort zone rather than a complete make-over. While the look relies on a de-cluttered interior and a clean colour palette, the finished result shouldn’t be clinical. By embracing soft textures and the use of natural wood, your home will be infused with an inviting sense of comfort. 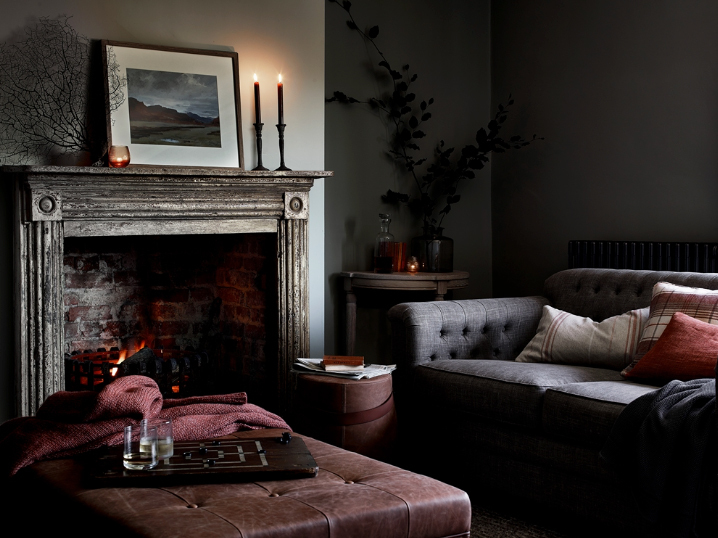 Nordic House have some lovely ideas for transforming even a small area of your home into a mindful retreat, or transforming your bathroom into your own mini spa with their candles and soft towels. The John Lewis Croft Collection, is another good starting point, either for a small cosy area such as a study, nook or bedroom, or for an allover look. The Croft range has a Scandinavian mid-century feel, well crafted in a restful palette of neutrals, softs greens and blue. H&M Home are due to open a new concept store in London’s Regent Street this spring, their current Home range includes both a conscious and organic range. 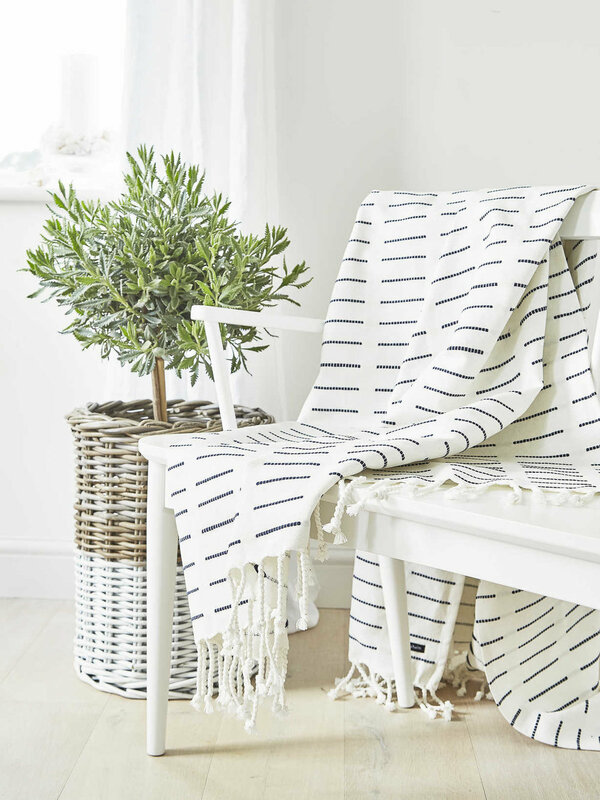 We particularly fell for their very affordable washed cotton and linen range of textiles which perfectly capture the ethos of simplicity combined with comfort. Designers Guild alongside an eclectic collection which encompasses both brights, pastels and florals, also produces a collection of textured weaves in subtle dyed yarns which perfectly conjure up a calm and natural colour palette. If you want to create a table setting with a Hygge vibe, look no further than this simple collection in neutral tones with natural woods and clean ceramics from Zara Home. For an elegant city take on the Hygge atmosphere, Neptune have a complete home range including everything from bedrooms to patios. Scandinavians are not deterred from being outside in the cold weather… with some outdoor heating, lanterns, candles, and rugs to wrap up in you can make use of a balcony or patio and brave the elements on fine days. Here are a few ideas from Cox & Cox. Hygge style… a life more Nordic.